Paul's Vegas Photography has been selected by Delicious Dolls Magazine as their official Las Vegas Pinup studio in Las Vegas and we offer our pinup and vintage clients an opportunity to be published in their magazine. We have a number of sets and backgrounds at our studio, a collection of wardrobe, vintage props and professional pinup and vintage makeup artists. 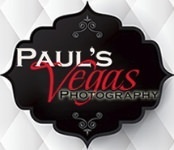 Las Vegas also offers a number of unique locations and an active classic car culture, which adds to the opportunities available to us at Paul's Vegas Photography.